Display your love for canine friends or your own dog, with this diamond-encrusted dog pendant! 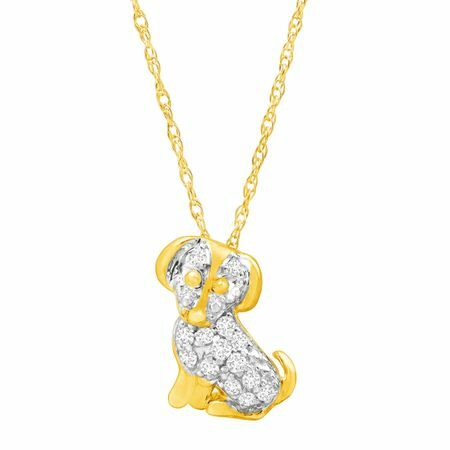 An adorable pup-shaped design features a 1/10 ct round-cut diamond center, crafted in polished 10K gold. Piece measures 1/2 by 3/8 inches. Comes with a 10K gold 18-inch rope chain with a spring ring clasp.